CARSON, CALIF. – Seattle Sounders FC concluded its 2016 preseason presented by adidas in a commanding 4-0 win over the LA Galaxy on a rainy Wednesday evening at StubHub Center. In the first half, midfielder Andreas Ivanschitz and defender Chad Marshall pushed Sounders FC to a 2-0 lead, while Clint Dempsey and Ivanschitz each scored on assists from Jordan Morris in the second half. With Sounders FC’s preseason campaign nearly in the books, the club now turns its attention to a Tuesday, February 23 clash against Club America in the first leg of the 2015-2016 Scotiabank CONCACAF Champions League Quarterfinal Round at CenturyLink Field (7:00 p.m. PT / FOX Sports 1, KIRO Radio 97.3 FM, El Rey 1360 AM). Ivanschitz scored the first of his two goals on a shot to the far post in the 22nd minute. The Austrian midfielder received the ball at the top of the 18-yard-box before sending an attempt on one touch past goalkeeper Brian Rowe to begin the scoring. Five minutes later, Ivanschitz delivered low service from just beyond the box on the right side. 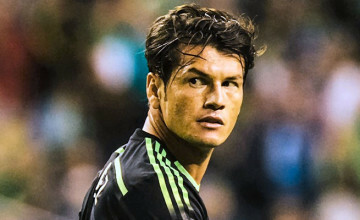 Captain Brad Evans placed a deft no-look touch on the ball to the front of the goal, where it was trapped by Marshall and sent to the upper right corner of the net from close range. In the second half, Morris tallied two assists from the right wing. 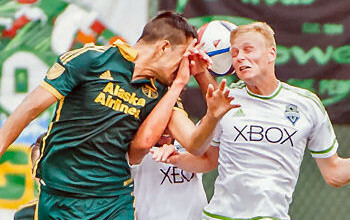 Erik Friberg sent a ball into empty space in the 47th minute, which was retrieved by Morris. The Stanford product dribbled into the area before delivering the ball into the middle of the area, where a streaking Dempsey slid to extend the lead to 3-0. In the 57th minute, Morris sprang forward into the area on a through ball. After luring two defenders, Morris turned and sent a square ball into the center of the 18-yard-box, where Ivanschitz finished a well-placed strike for the score. 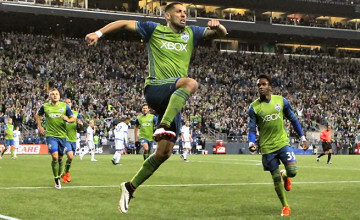 Seattle’s eighth season begins this month with the 2015-2016 Scotiabank CONCACAF Champions League Quarterfinal Round against Club America before the MLS season-opener on March 6, 2016 Sounders FC Season Ticket Packages are available now for as low as $24 per match via the following link: http://sndrs.com/uxb7 or by calling 1-877-MLS-GOAL.